Matthew Thornton School is a school of 74,250 sq. ft. including a second floor in the back of the building. The core facilities include a gym with stage, a cafeteria and a library media center. There are 29 classrooms and two district SPED Programs. 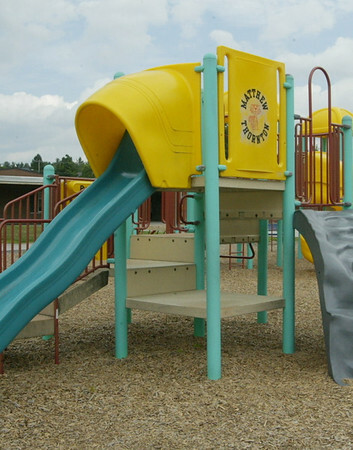 The school has a playground area, a baseball/softball field and an all-purpose field. Matthew Thornton School offers a variety of instructional programs designed to meet individual student needs. The school also provides remedial reading and math support as well as enrichment programs at all grade levels. Three-hour instructional assistance is provided on a daily basis to teachers in grades 1-3, and two hours per day for grades 4-5. This assistance helps to create smaller “learning communities” in the classroom. It also enables the use of flexible grouping practices on a daily basis in the areas of reading and mathematics. The mission for Matthew Thornton School is to provide all students with the vision, skills, and knowledge necessary to maximize their individual potential. Central to this accomplishment is the collaboration among all shareholders and disciplines so that students can become contributing members of society and appreciate that learning is a life-long process. The school provides many opportunities for students to grow and develop their varied talents including: Enrichment Programs, Sum-It Math Program, Before/After School Programs, Nationally Recognized School Library Program, Blue Ribbon Volunteer Program, Science and Math Backpack Program, Books and Beyond Reading Program, and Homework Club. General Music classes are held for all students on a weekly basis. There is an Instrumental Band Program for Grade 5, an Orchestra Program and a Choral Program for students in Grades 4-5, and a String Ensemble Program. Performance members participate in a variety of programs including winter and spring concerts, Memorial Day Parade Program and other special activities. Programming for students with educational disabilities is highly individualized with the idea that all students are included in the regular curriculum as much as deemed appropriate. Approximately 13 percent of the general school population has been identified as having special needs. Programs for these students currently include; individual and small group tutoring either in the classroom or in a quiet setting, small group replacement math and or language arts, classroom support, full inclusion with modifications to regular curriculum, and a self-contained program. Other services include speech/language therapy, occupational therapy, physical therapy, and counseling. In addition, students who have been identified under Section 504 of Federal Legislation are provided with support or therapy through our many resources. Matthew Thornton School has two full-time counselors for the student population. Counselors are available when developmental challenges occur, as well as being a support system in dealing with issues from divorce, alcohol and or drug dependency, death of a loved one, or difficult peer relationships. Their goal is to help children grow academically while giving support and education related to these issues. Matthew Thornton also shares with other elementary schools a student assistance counselor. The purpose of this program is to provide education and support to students who may be experiencing school or family problems related to a loved one’s substance abuse. Referrals to the guidance department may come from students, parents and teachers. The Library Media Center provides a comprehensive collection of resources to support the curriculum, to promote an appreciation of reading, and to develop information literacy skills. Additionally, the Library Media Specialist works collaboratively with teachers to develop projects that reinforce these skills. As of 6/30/09, the collection includes: 22,911 circulating items; 470 reference volumes; three electronic data base subscription services and 32 periodical subscriptions. Presently, there are nine library computers available to support teaching and learning as well as a variety of other audio-visual and technology resources. Computers with Internet access for instructional use are located in the classrooms and in the library media center. A mobile lab of 24 computers is also available for classroom use. Technology skills and benchmarks are integrated into the curriculum. All of our students receive weekly PE instruction focusing on fitness, safety, and good sportsmanship. Fifth grade students participate in a district wide Cross Country Program, which culminates in a Londonderry Cross Country Race between the three elementary schools. We also have an extensive intramural program for all grade levels. Matthew Thornton School has a very active Parent/Teacher Association. The PTA helps to facilitate our mission statement by providing a variety of learning experiences through extra-curricular and curriculum programming. Volunteers are welcome and necessary to support our instructional programs. The PTA meets on the second Thursday of each month alternating between evening and morning times. Matthew Thornton School opened as Central School in 1949. Additions were made in 1952, 1960, 1965 and 1985. In 1975 the name of Central School was changed to Matthew Thornton School.